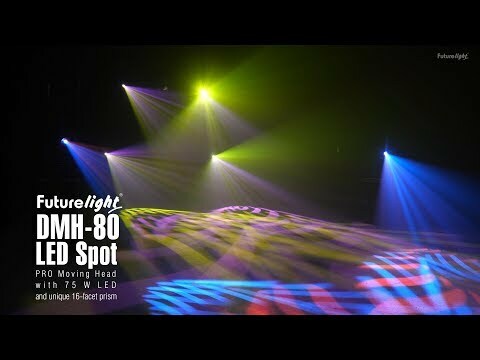 PRO Moving Head with 75 Watts LED and unique 16-fold prism. 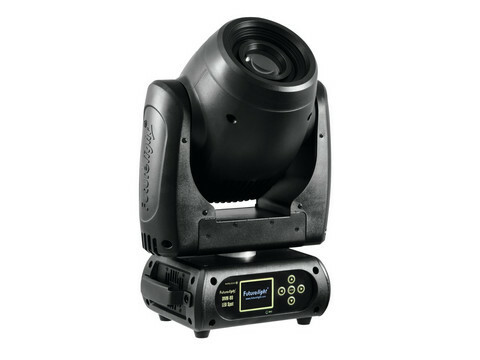 The Futurelight DMH 80 is equipped with a 75 watt LED, which provides a good light output - for a rather small moving head, it is even more than remarkable. The gobo wheel offers you 7 different images, which you can easily exchange for individual designs. A particularly beautiful effect is the 16 facet prism. It multiplies the image and generates additional movement through its rotation. 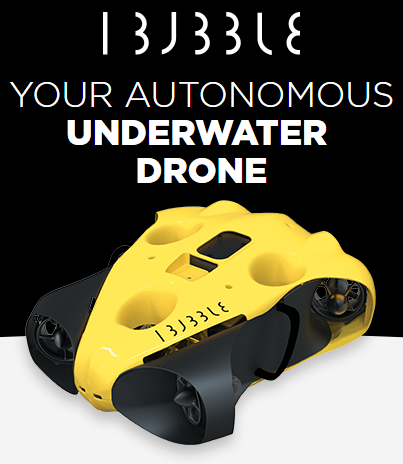 The beam angle can be set manually between 10° and 16°. You can adapt the spot to the respective room this way. More than 8 dichroic color filters provide for colored accents. The DMH-80 is your ideal solution for clubs and stages that need smaller devices, but do not want to do without professionalism.